Speed is infectious, there’s no denying it. If you can afford a fast car, you’ll quickly grow bored of its performance and seek out something faster. Eventually, after selling your home and sending your children to work in the mines, you may reach a point where you can afford a vehicle that can adequately sate your appetite for unbridled, face-distorting speed. Now race cars designed for the track are fast, but what good is a fast car if you can’t make other road users look like ageing tortoises slowly making their way home? These are the fastest cars you can actually buy and drive on a public road. At the speeds these cars can reach, it takes ingenious technology and billions spent on research to squeeze even one more km/h out of a car. It’s not so surprising, therefore, that the second spot is currently a tie between the Hennessey Venom GT and the Koenigsegg Agera R. Both will reach an eye watering 418km/h, but the Venom GT accelerates slightly faster to 100km/h than its rival. Hennessey claims that the car can achieve a top speed of 437km/h although this has never been tested. So choose carefully when picking a car for that drag race between traffic lights. If you simply have to choose between the two, price might be the deciding factor. The Venom GT will set you back at least $950 000, whereas the Ultimate Aero’s base price is $1 600 000. No one ever said speed comes cheap. The Bugatti Veyron was created as a showcase of what engineers could do if given an unlimited budget and a brief that went something along the lines of “build the fastest car in the world, and make it comfortable”. 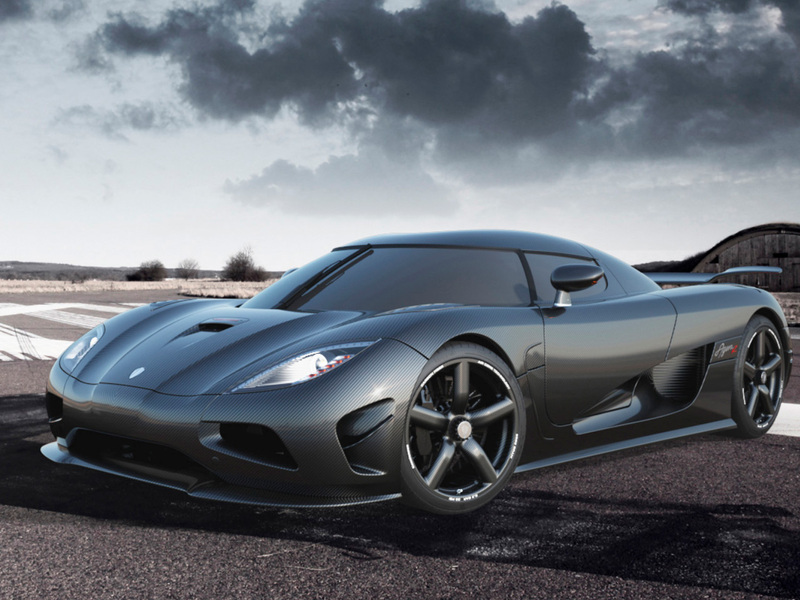 Its designers wowed the automobile world with a car that has become the ultimate dream of car lovers across the world. 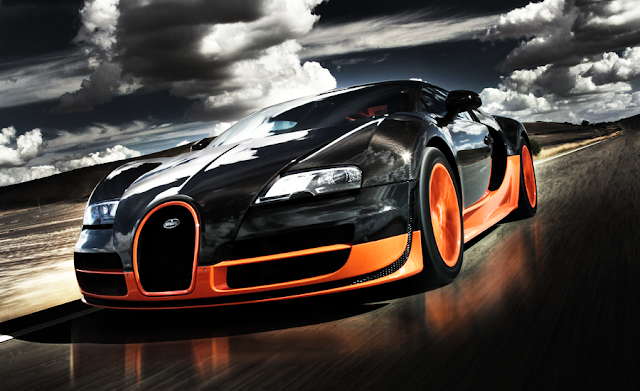 The Veyron features an 8.0 litre, quad-turbocharged, W16 cylinder engine. Each cylinder has 4 valves and the engine is fed by four turbochargers and displaces 7,993 cubic centimetres. The top of the supercar pile is a precarious position, however, and many competitors arose to challenge the Veyron’s title. In response, the Veyron Supersport was created. Its engineers, no doubt operating under the strict surveillance of the gods of speed, further lightened the Veyron’s body and, unbelievably, managed to squeeze yet more power out of the fire breathing 8litre W16 at the heart of this magnificent car. The result is a vehicle that will top 100km/h in just over 2 seconds and go on to reach a top speed of 429km/h although it is electronically limited to 415 km/h in order to protect the tyres from disintegrating. The designers of the cars currently holding the second spot claim their own beasts will attain this speed, but they have yet to prove it in an official test. Bugatti has stated that only 30 of these speed kinds will be produced. So for now, the $2 400 000 Veyron Supersport holds onto its title as king of top speed. Daniel loves speed and although he can't afford a speed ar, he makes sure his Audi has a great set of tyres.